in the feet and the lower limb. A Chiropodist/Podiatrist is a health professional that deals with assessing, diagnosing and treating diseases and pain in the feet and the lower limb. They are trained to treat, alleviate, prevent and correct conditions of the lower limb to help with rehabilitation and keeping people mobile and active. Our podiatrist is state registered; she is registered with the health professional council (hpc) and a member of the society of chiropodists and podiatrists. What can a podiatrist help with? What does a general foot treatment/Chiropody appointment involve? This appointment type attends to any nail pathologies/conditions. All nails are trimmed and filed and treated where needed. Skin conditions, cracked heels corns and calluses are assessed and reduced. The treatment is finished with a foot moisturiser leaving your feet revitalised. Chiropody is a medical service not cosmetic however often your feet will look and definitely feel better. What does a Podiatry consultation involve? A podiatry consultation examines in detail the bio-mechanical status of the lower limb. Foot posture and alignment are assessed along with the motion of the lower limb. In order to find the root cause of the pain, a gait analysis is carried out to determine how your foot posture is affecting motion/movements and to prevent future problems. Your podiatrist may recommend orthotics or insoles to be worn in shoes, this will be advised as appropriate. Toenail trim appointments are for 15mins and only the nails are attended to all nails are cut filed and cleared. If there are any nails which are thickened, misshaped or discoloured they are also treated. However, your first appointment would be for a general foot treatment/chiropody and then subsequent appointment will be for a toenail trim only (tnt). Feet are a complex structure (“engineering marvel”) comprising of 26 bones and over 100 ligaments and muscles. Foot pain is not normal. 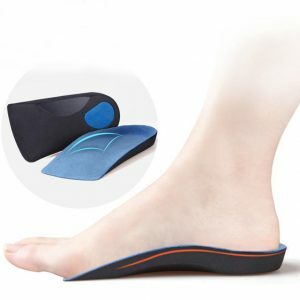 80% of foot pain can be relieved by one treatment. On average we take about 7500 steps per day therefore looking after your feet is an important part of your general health, remember healthy feet are happy feet.